These facts and the recent flooding in Brampton and Burlington can make it seem like there's little homeowners can do to protect themselves. While there are system-wide changes Mr. Feltmate and the ICCA are recommending such as drawing up new flood plain maps and training home inspectors about flood damage, he also recommends concrete steps homeowners and other property owners can take right now. The City of London and many other municipal websites offer excellent instructions about how to disconnect the downspout and stop it from channeling rain water into the ground which causes basement flooding. cut the downspout just above the point where it goes into the ground. attach a downspout extension piece to the top part of the downspout that will lead the water away from your house and your neighbour. You could also attach a rain barrel to collect rainwater but make sure the overflow hose channels the water to your lawn or place that won't cause flooding. A window well is a perfect spot for water gather during a storm and cause leaks and floods. With a window well covers, you prevent this pooling of water. They take a few minutes to install and come in a wide variety: permanent, with vents, hinges. Sump pumps are great for helping to keep your basement dry. But they have two unfortunate weaknesses: (1) that they usually run on AC power meaning when there's a power outage, they won't work; (2) homeowners often forget to do regular maintenance and the sump pump may seize up during a rain storm. A battery back up can solve the first problem and installing a Sumpie sump pump sensor solves the second. 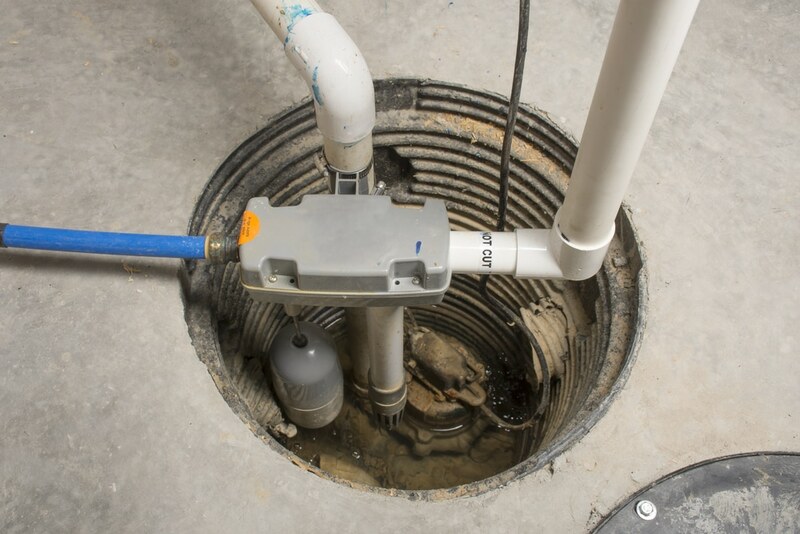 By monitoring the health of the sump pump and water levels of the sump pit, Sumpie ensures the sump pump is in working order. For more info, this great article by How Stuff Works explains the basics of sump pumps. Heavy rain can cause water in sewers to move backwards and up into your basement causing all sorts of unspeakable damage. When there's a lot of water about from rain or grease or tree roots in your pipes, a back water valve closes the pipe and thus prevents water from flowing backwards into your home. This method of preventing floods in your home is the most costly and labour intensive but lots of municipalities offer rebates for installing one (see #6 on this list). The Insurance Bureau of Canada advises homeowners to contact a plumber and do your research by visiting your township or city's website to learn about what permits are required. The dynamic duo in flood detection tech. Just look at 'em! The Flowie water sensor by Alert Labs identifies the floods you can't see. The floods that start as small leaks in pipes behind walls but end up causing major water damage. The Floodie flood sensor can protect you by sending flood alarms to your phone the instant it detects the presence of water. And, Sumpie is the world's first sump pump sensor that provides predictive maintenance analytics and monitors sump pit water level in real-time warning you of imminent floods. Intact Insurance has also prepared a list of Ontario Municipal Water Damage Prevention Programs that help homeowners and landlords pay for improvements like backwater valves and sump pumps. While many of the programs are still running, it's a good idea to follow the links to make sure of the eligibility requirements.